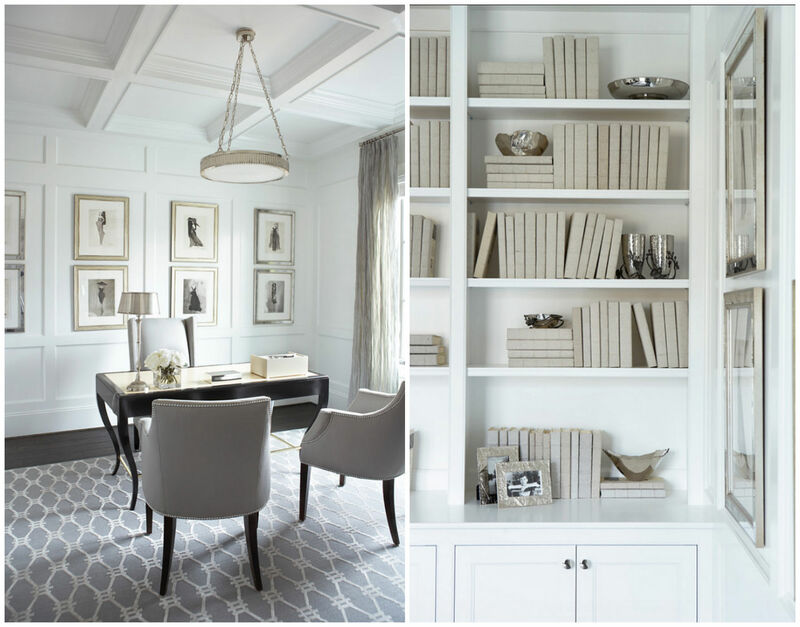 A home library is the indication of its owner’s erudition and intelligence. A collection of your books will find a proper place on individually designed shelves. 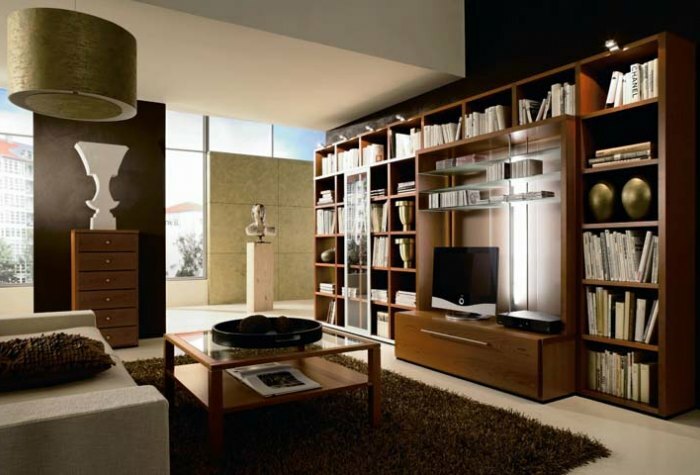 A library can be simple and reliable, or stylish, in the form of a noble wall unit with glass doors, so that your good taste and attitude are well seen. In any case your intellect will promote the implementation of good aesthetics. And we are ready to share all our abilities and skills. A library is not just bookshelves and a place for storing literature. Today there is more to that. 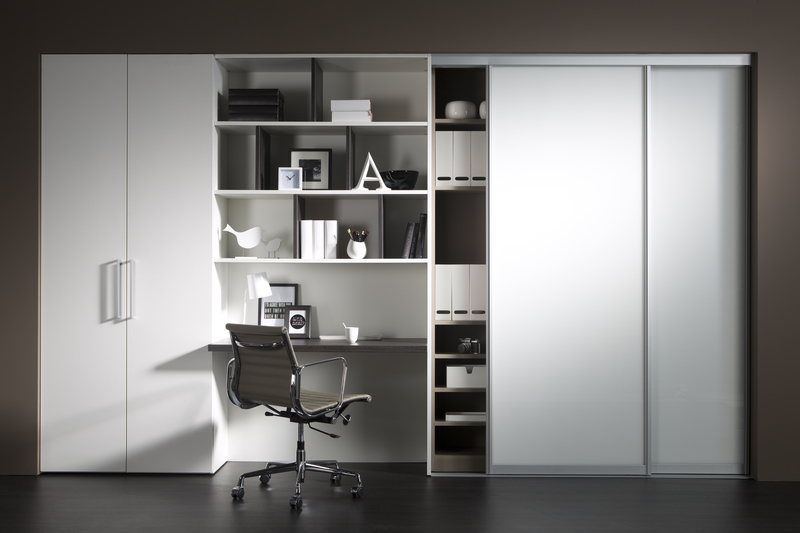 This space turns into a fully-fledged study, where you can keep your documents, information carriers and other things. Nowadays libraries are planned and modeled as an independent home unit. For example, you can efficiently put up a real working place there, organize a space for reading or relaxing, combine a library with other furniture and do many other things. What are libraries like? Normally they are classic or modern. Let’s talk about the first option. Classic is when books are placed on open shelves. But at the same time this is one of the main drawbacks. Literature should not get dusty. That is why it’s worth mentioning that in our country you can have your library with glass or sliding doors. Such constructions look gorgeous. Glass can vary in design. This material makes one whole of a library. So you can stop worrying about having books of different color on one shelf, because toned glass will spare your shelf from looking motley. 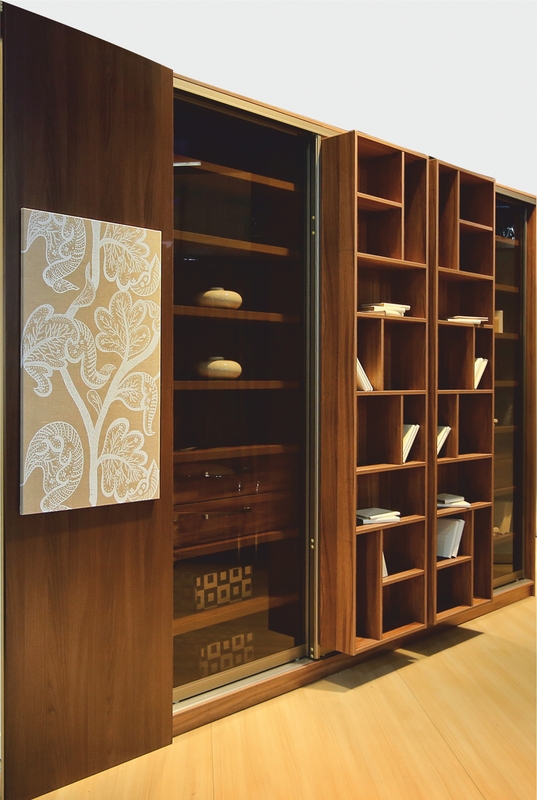 There is an option of storing your books in a hidden place, behind solid doors (without decorative elements). 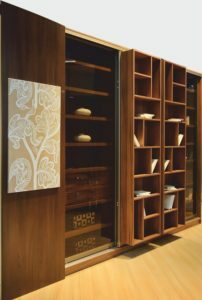 In this case you could display only those books, which you believe are valuable or beautifully made. You should consider that while creating a library one needs to plan a space for storing documents. This can be easily done by making drawers. They can be hidden, almost invisible, thus the drawers will not ruin the completeness of the classic design of the construction. Quite often people fit in a desk or additional shelves into a library to be able to work with documents and books, or place an armchair. As for relaxation and rest, it would be wise, for example, to plan a bar. And to make things really comfortable, all furniture placement needs to be seriously thought through. It is our recommendation not to plan this on your own, because a professional designer could really help here. And now about modern style. You should not be afraid of this style when creating a library. The design and functionality of modern constructions are just awesome. Much innovation in this field comes from Italy. 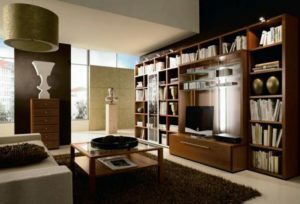 This is the place were progressive creative sources of the furniture industry are concentrated. Davanti specialists, who represent a whole range of leading Italian brands, give the following recommendations. According to them, one should take into consideration the specific character of storing books. For instance, in how many rows the books will be placed, or whether there will be any decorative elements or some kind of special additions like a mobile shelf. By the way, a mobile shelf is a very trendy and helpful item. This shelf can be placed on a railing and can be moved along the whole length on the library. As Davanti specialists see it, it is no less important to pay attention to the materials for modern libraries. The most widespread walnut, oak, cherry tree. Decoration for classic – bronze, for modern – shining surface, varied texture surface, pattern. One of the main tricks in designing a library is “playing” with the thickness of the board, which is its main constructive element. 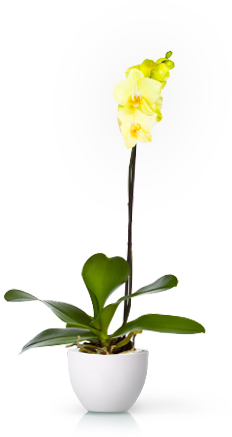 It cam be thinner or thicker, depending on the preferences of the client. And one of the most important functional rules is that there should be one or several mobile modules, which move along special railings, like sliding constructions. In the end we’d like to say that a library in a house or in a flat is something more than just bookshelves. A library is a special place, where you turn to your memories, traditions, roots, if you like. There is a lot of soul in reading books. This is food for your spirit. Moreover, every person needs it from early childhood. It is worth mentioning that an obligatory literature course is done at school. And there is no denying that children, educated by kind and good books, grow into proper people.